Subway workers in the Brazilian megacity have voted for a 24-hour work stoppage. The strike is against fare increases, layoffs and the privatization of the subway. 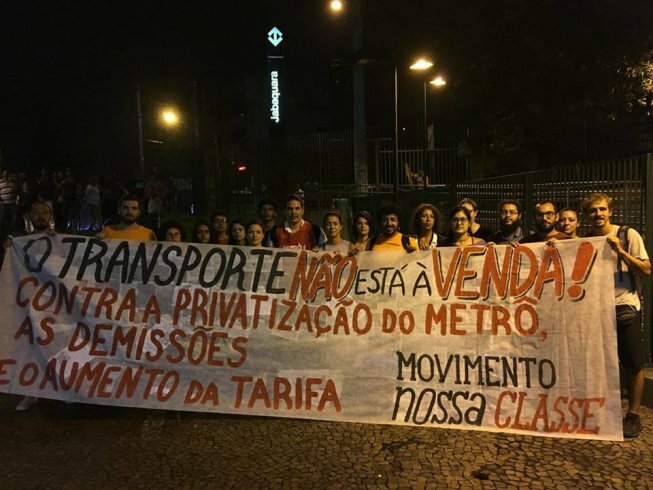 On Wednesday evening, São Paulo subway workers voted to strike for 24 hours in protest against the privatization of the subway system. 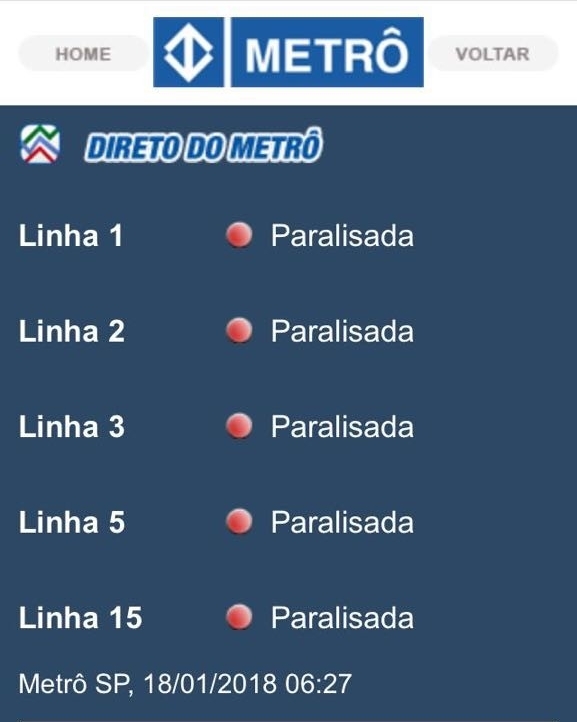 There is already one privatized subway line in the city. On Friday, two more lines will go up for sale. This would mean divisions among subway workers, with some employed by the state and others by private companies. Subway workers are among the most visible and combative sector of Brazil’s working class, having gone on strike more than once in the past year. 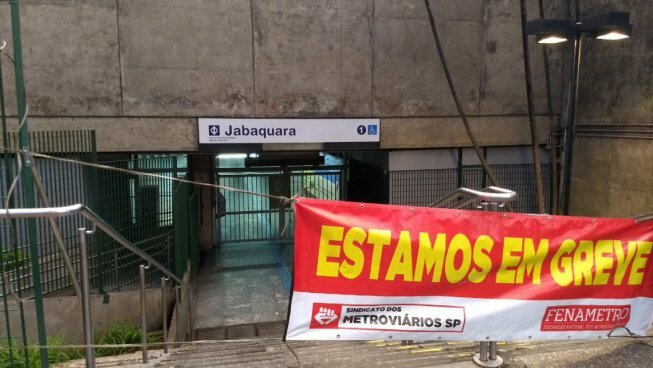 As the São Paulo government, following the lead of the national government, prepares new austerity measures this year, the privatization of the metro is an attack on a well-organized group of workers. According to Datafolha, seven out of ten Brazilians are against the privatization plans. 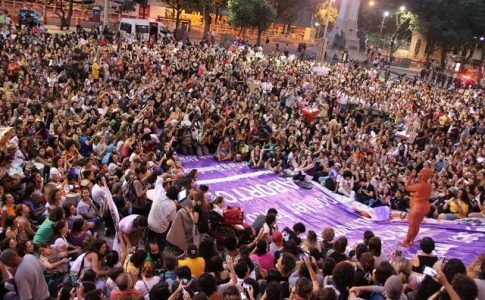 The strike is also against planned fare hikes, which have brought about large mobilizations in São Paulo in recent years. Some of these mobilizations have been brutally repressed by the police. São Paulo is the largest city in Brazil with almost 12 million people. The subway system is the second largest in Latin America, with a length of almost 50 miles, transporting 4.6 million people every day. Arbitrary layoffs and political persecution of subway workers are yet another reason for the strike. Two months ago, three workers were fired — one due to health problems and “low productivity” and two as political retaliation for fighting against subcontracting in the subway. 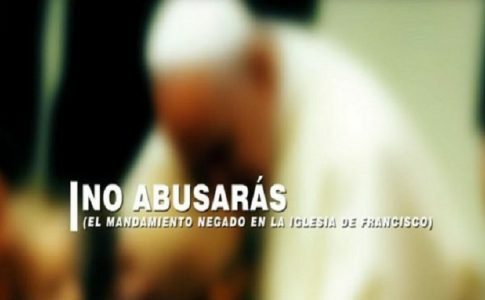 This comes in a context of a massive economic crisis in Brazil, as well as a series of austerity measures passed by the right-wing federal government that strip the working class of basic rights won over decades. Despite the inconveniences for commuters, on Thursday morning the strike received a great deal of support from the working population. 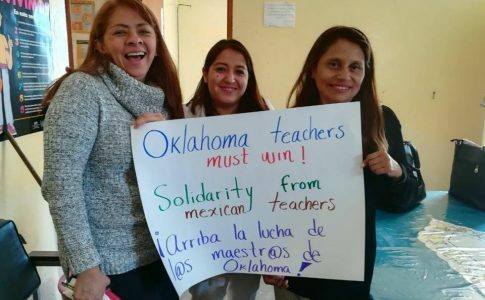 At several pickets where workers explained the reasons for the action, they were greeted with applause. 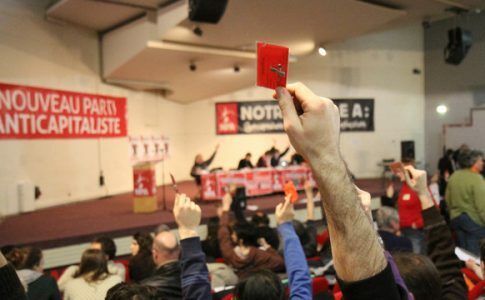 Popular musicians such as Ratos de Porão also spoke out in favour. Public transportation is not for sale. Against the privatization of the metro and the fare hikes.